The Zaha Hadid desiged, Chanel sponsored, temporary Mobile Art container is in Hong Kong until April 5th. If you haven’t already bought tickets then you are out of luck I’m afraid, its been a complete sell out. For those of you around the world, take note – book early! The exhibition leaves here for Tokyo and then heads to New York, London, Moscow, then Paris. I saw the exhibition yesterday. I recommend you check it out if you have the chance! Pritzker prize winning architect Zaha Hadid was definitely the drawcard for this year’s BODW forum, and drew what seemed to be record attendance. It’s unfortunate then that her presentation this afternoon was cut short because of program delays. Hadid spoke less about her foray into the world of architecture, the evolution of her career, and her inspirations than the previous two presenters; furthermore, there is probably not much that can be said about a woman of Hadid’s stature that has not already been said, but here goes! Born in Baghdad in the 50’s Hadid first studied mathematics in Beirut before moving to London to study architecture. 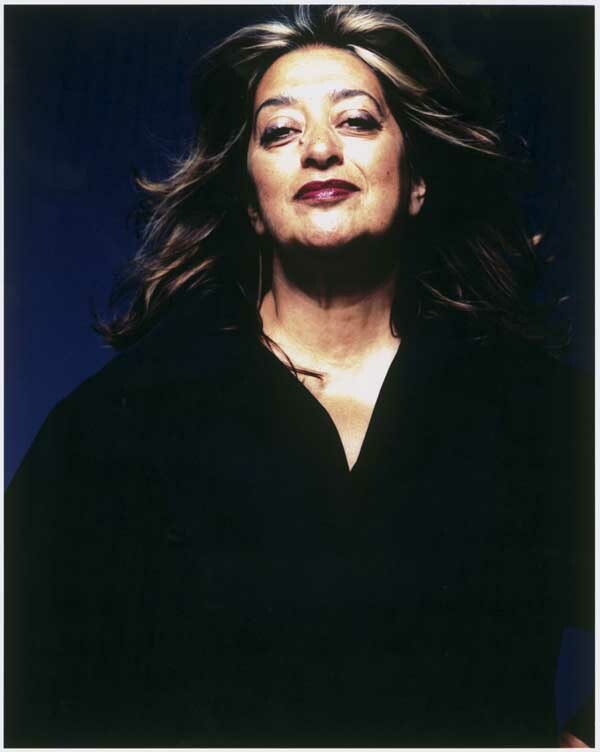 Upon graduation Hadid went to work for, and later become partner of The Office for Metropolitan Architecture – a practice set up by Hadid’s former teacher, Dutch architect Rem Koolhaas and his former teacher, Greek architect Elia Zenghelis. Hadid set up her own architectural practice in London in the 80’s and very quickly gained a reputation through some of the innovative spaces she created for international competitions, that she later went on to win. Hadid learned early on that she was not able to use normative processes to express her ideas. The sketches presented to us were different from the standard architectural drawings that are normally produced, like none other that I had seen before. Full of life and colour, they are symbolic of a mind that works differently from that of its peers. The themes of ‘fluidity’, ‘layers’ and ‘seamlessness’ were often referred to when she spoke about her spaces, because they are what defines her work. ‘Transparency’ and ‘volume’ are just as central to her philosophy. Her experimentation with vacuum formed furniture and buildings has created shapes that are almost calligraphic and are some of the most organic, yet elegant structures ever built. As technology and building techniques improve with time, we will perhaps begin to see more exciting things from the unique mind of Zaha Hadid. To see interviews with Zaha Hadid and for further information about her work check out the Zaha Hadid Blog website.